Year in year out Dubai World Cup night signals the return of the flat – at least to me personally. A great day of racing it usually is, even though not a happy hunting ground betting wise. Ertijaal seems the right favourite but not the right price. Yes, he is unbeaten in two starts this season and clearly loves Meydan but the majority of those successes came over the shorter 1.000m trip. If Limato can bring his A-game he’s a big danger with decent ground he relishes to play with. Is he ready? Jungle Cat stepped up to win a good 6f sprint over CD when last seen, he’s sure to give his running but is he good enough? Not quite as big in the betting but overpriced in my book is Aiden O’Brien’s Washington DC. A classy, ultra consistent sprinter over both 5- and 6 furlongs. 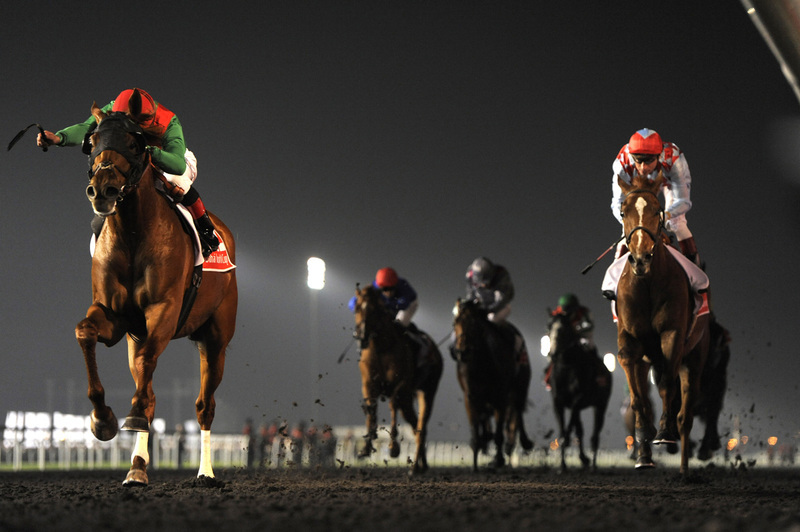 AOB did not enjoy the best of success at Meydan in the past but brings a strong team this time around. The now four year old is rarely outside the money and ran close in some big sprints last season. Granted he has a bit to find with some of these and his last win came over seven furlongs on the Dundalk All-Weather, this race could be ready made for him. At least with ground to suit and a trip he’s sure to get every inch of it he is underestimated in the field. This looks quite an open race to me with question marks all over aplenty of runners. That says you can make a case for aplenty of these too! However I am surprised to see Christophe Ferland’s charge Heshem such a big price in the betting as he is. This horse is poised for a big run in my mind and according to the trainer has travelled extremely well. Heshem is still a somewhat lightly raced individual after a fine three year old campaign Group 2 company culminating in an excellent runner-up effort on Arc day in the Prix Dollar, when he had today’s race favourite Zarek behind himself. The fact that connections gave the now four year old colt a spin on the All-Weather in preparation of this race race seems they mean business. Tactically he’s more likely to be closer to the pace, which would make sense utilising a fine draw.